It’s likely you need to have some kind of fuel storage onsite, whether it’s a mobile bowser or a stationary tank, you will need to make some kind of risk assessment when deciding where to keep it. First of all, it needs to be easily accessible for refuelling machines so it’s less likely an accident caused by awkward manoeuvring will occur. Somewhere away from the main site traffic routes, public eye and drains is ideal, it’s a good idea to have a dedicated refuelling area if you can. Prevention is king so make sure you keep up maintenance on any long-term fuel tanks and always use a drip tray when refuelling. 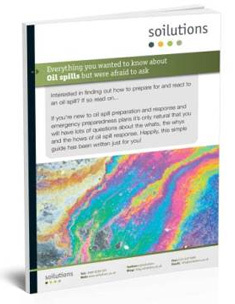 It’s important to have a spill kit situated close to the tank, so should a spill occur you can quickly stop it spreading. It’s most important to stop up any routes to water receptors, by putting drain mats over drain covers, socks to stop oil spreading and granules or absorbent mats to absorb as much free product as possible. The used absorbents can then be disposed of at a licensed facility. If you do have a spill onsite, call us in to clear up the aftermath!